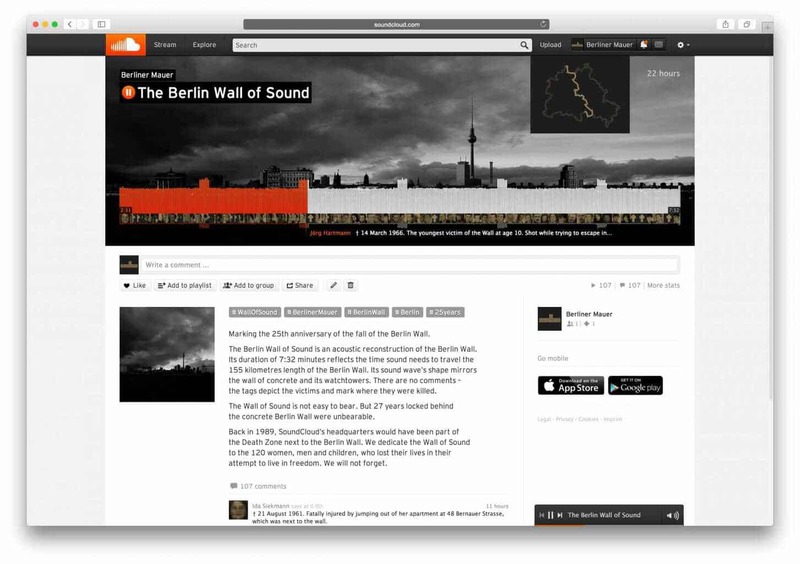 This is creative with a vengeance, audio platform SoundCloud’s piece commemorating the 25th anniversary of the fall of the Berlin Wall – by recreating the wall in sound. Grey Berlin was involved too, which gives it three Cannes Grand Prix so far I think. Here’s why and how they did it. Still, it would be churlish to quibble about this.